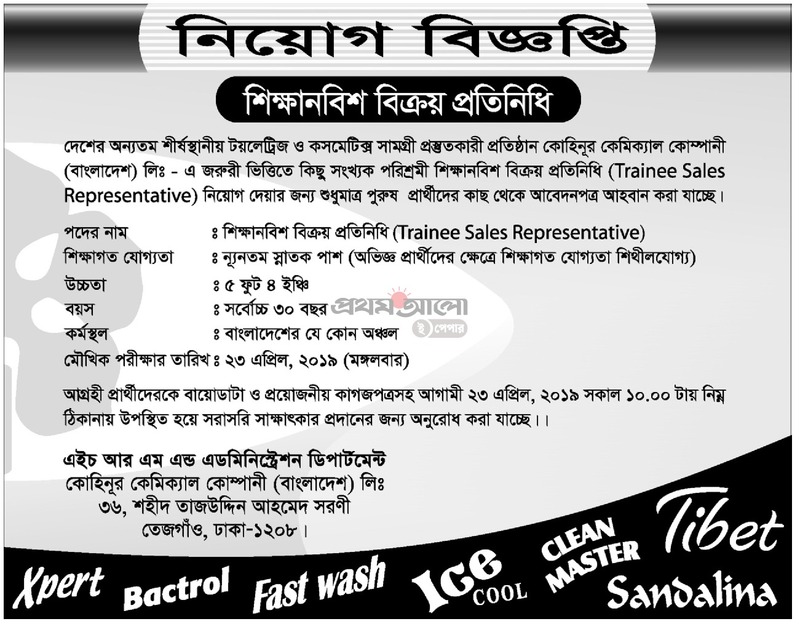 Kohinoor Chemical Company ltd job circular 2019 has been published. Kohinoor chemical company will be recruit a huge number of people. At this stage maximum people want to work in good sector. It’s a huge opportunity to unemployed. Because, marketing sector is being increased day by day. A huge number of people is working at kohinoor chemical company ltd. This job circular will help to all unemployed people. This job resignation are many category. Anyone can take this opportunity. If you want to apply this job, you should submit your application within short time. Kohinoor chemical company ltd job circular 2019 has been converted to an image file,so that everyone can read easily or download this job circular. Kohinoor chemical company job circular 2019 has been given bellow.